While Padre Pio's writings were being recently scrutinised in preparation for his canonisation on June 16, 2002, there came forth some accusations of plagiarism against the would be Saint. In May 2003, the Roman Jesuit magazine "La Civilta Cattolica" defended Padre Pio. Was Padre Pio a plagiarist? An influential Jesuit magazine in Rome has defended the Italian saint and mystic Padre Pio da Pietrelcina against charges of plagiarism. The Capuchin stigmatic was declared a saint in June last year. The mid-May (2003) article in "La Civilta Cattolica", subtitled 'Plagiarism or identification?' looked at 10 letters Padre Pio wrote to his spiritual directors in 1911-13. The letters contain sections copied exactly or only slightly changed from published letters and texts written by St Gemma Galgani (1879-1903), a mystic and stigmatic who was miraculously cured of her spinal tuberculosis. The letters were written by St Gemma between 1899 and 1902. 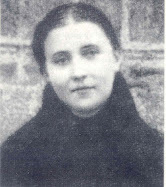 As with Padre Pio, the process leading to St Gemma's canonisation was interrupted by doubts over the more unusual phenomena associated with her spiritual life. The 'unexpected phenomenon of a saint who explains the state of his own soul to his spiritual directors by copying sections of letters' written by another saint deserves investigation, the magazine said. It admitted that he never attributed the sections he quoted from her letters. 'Having overcome the initial understandable reaction of surprise and perplexity, the phenomenon of copying a few letters enters within the realistic boundaries of the humanity of saints,' it concluded. Saint Gemma Galgani and St. (Padre) Pio were contemporaries, both living in Italy. Saint Gemma (born 1878) was only 9 years older than Saint Pio (born 1887). The similarities in their spiritual and mystical lives is extraordinary. Gemma was seven years old when she began her mystical experiences with the first inner locutions that later culminates in 1899 with visions of Jesus, the Virgin Mary, her guardian angel. 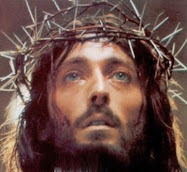 She is also given extraodinary physical graces and sufferings including the sweating of blood, the crown of thorns and the stigmata. Her mission was to suffer in union with Jesus for the conversion of sinners. 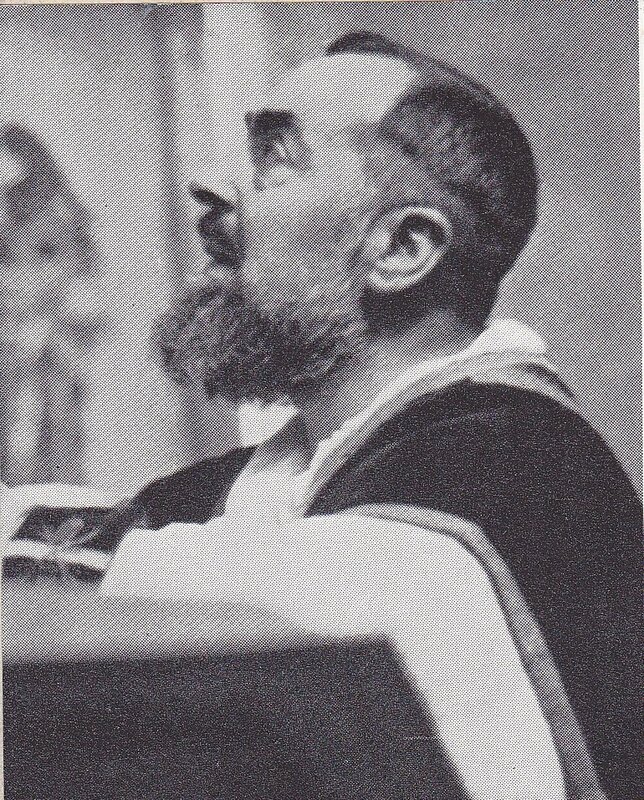 Beginning around the age five, Francesco Forgione (St. Pio) feels a strong desire to become a Franciscan religious and begins experiencing mystical visions and graces not long after entering the Franciscan order at the age of 15, and like Gemma, he was also called to suffer in union with Jesus for the conversion of sinners and he was likewise given visions of Jesus, the Blessed Virgin Mary and his guardian angel. And also like Gemma, he was tempted and had to fight with the demons on numerous occasions, and he also lived with the painful experience of the stigmata, firstly invisible, for about eight years, and then visible and permanent for the rest of his life. Both St. Gemma and St Pio descibed a burning fire in their chest, from inside their heart, which they described as the fire of the love of God, that literally felt as if it would consume them and at times they felt as if they were about to incinerate into flames. A further confirmation of this is in a letter from Padre Pio to his spiritual director, Padre Benedict, dated May 2, 1912. He writes: "...Moreover I am asking you for charity: I would like to read the booklet "Letters and Ecstasies of the Servant of God, Gemma Galgani", as well as the other one of the same servant of God, "The Holy hour". I am sure that you will agree and meet my desire. Bless me. Padre Pio." 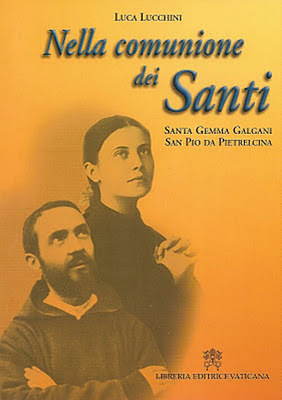 Soon afterwards Padre Pio suggested to his spiritual daughters: "I am reading the 'Letters and the Ecstasies of Gemma Galgani', and in it she says that she was 'suffering before Jesus Crucified, in the sacrament of Jesus love' " (Epist. II, 31.1; 40 , 6), These words of St Gemma obviously inspired in Padre Pio a greater love and devotion to Jesus in the Holy Eucharist. It is also known that Saint Pio recommended to several of his spiritual sons a devotion to Saint Gemma whom he called the "great saint", and that when he talked about her he was at times moved to tears, and he invited his devout friends and visitors to get to know this beloved soul. At times Padre Pio would send pilgrims coming from Tuscany and surrounding areas to Lucca. He would say "Why are you coming to me for graces? Go to Lucca which is nearer to you, because you have there St Gemma who is a great saint." And so, in St. Pio and in St. Gemma we have another wonderful example of the Communion of Saints. ~Saint Gemma Galgani and Saint Pio, pray for us! 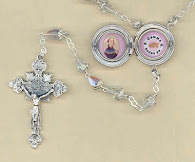 Part 2 of this article continues with details of the spiritual friendship between St Pio and St. Gemma, and especially highlights St Pio's devotion to Gemma -Click here. 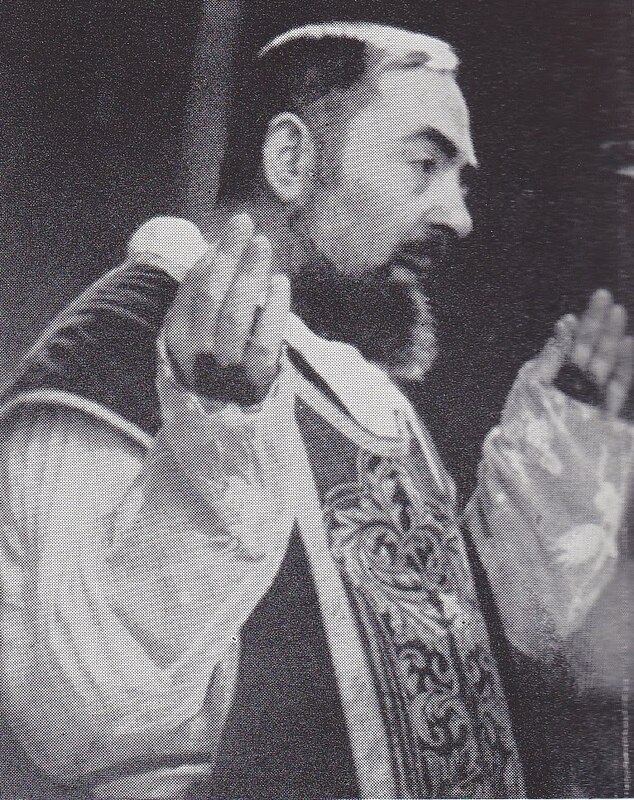 Also, those interested in making a prayer novena to Saint Padre Pio seeking his holy intercession can click here for the Novena to St Padre Pio. I wish you well with your blog. I have read Gemma's story a number of times and am always amazed at the angelic life she led. Blessed be God in his angels and in his saints! May she intercede for us. padre pio is a most remarkable saint to say the least. not many people know this, but he refused to celebrate the Mass in the NO. ( new Mass) he preferred the Tridentine Mass. and who can blame him? it is the Mass of Ages. 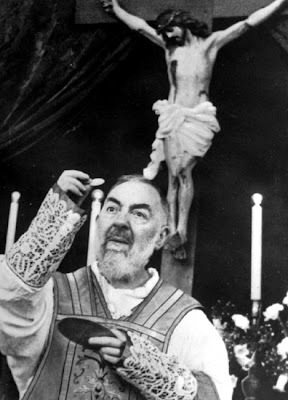 ...with all the love in my heart and with all due respect, Padre Pio didn't refuse to celebrate the "new Mass"
Out of obediance, he did face the Congregation and celebrated it the way he was instructed. Don't get me wrong, I love the Latin Mass, but, Vatican II is valid. Thank you for the information about Pio's devotion to Gemma. I am loyal to Benedict and my local Bishop. I appreciate the Tridentine Mass; yet I believe those teachings and documents of Vatican II are inspired by the Holy Spirit. The Novo Ordo Mass is powerful and can be said in Latin: if you desire. I was led to St Gemma by an unknown person who suggested her to me. My parish is Saint Padre Pio Parish in Vineland, NJ I am being scruntinized by the local church (Diocese and Bishop) for calling to Holy Orders - ordination: to the permanent diaconate. The ordination is set for May 9. My novenas have been directed at first to Pio, but it seems that he's diecting me to St Gemma. My call to orders by the Bishop will be a gift by the intercessions of Gemma and Pio. "I am loyal to Benedict and my local Bishop. I appreciate the Tridentine Mass; yet I believe the teachings and documents of Vatican II are inspired by the Holy Spirit. The Novo Ordo Mass is powerful and can be said in Latin: if you desire." This is perfectly stated. I too have respect for the Latin (Tridentine) Mass, however I also appreciate the Novus Ordo. Both are valid and also both are special in their own ways. 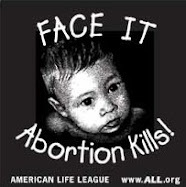 Thank you for your comments and may God bless you and yours! "Owing to the era in which he lived the Mass which Padre Pio offered was according to the Missal as it existed before the Second Vatican Council (the so-called Tridentine Mass, named after the Council of Trent). When the new Rites began to appear in the mid 1960s (finalized in 1969 after his death) Padre Pio continued to celebrate the old." St Pio and St Gemma, pray for us! And there are MANY others on the internet. Just do a search on Google and you will find lots. There are also many availible on EBAY.